Health is your most valuable resource, and you are the greatest advocate for your own well-being. Ayurveda defines health as “the place of self” and disease as “without self.” If you are struggling with poor circulation, abdominal bloating, inability to concentrate, physical fatigue, mental exhaustion, emotional communication, or social assimilation, Ayurveda offers a holistic and integrative approach to internal medicine so you can achieve greater health, vitality, and longevity. Tantra Yoga & Ayurveda work together to provide practical methods for cleansing your body, balancing digestion, relieving stress, enhancing quality of sleep, increasing energy levels, moderating unhealthy behaviors, and creating habits to support your overall wellness. If you are ready to take personal responsibility for enhancing your overall health, please contact Maria to learn about balancing your unique body-mind constitution through daily self-care. If we take care of the exhalation, the inhalation takes care of itself. If we get rid of the unwanted, we make room for what is needed. Mismanagement leads to disease - physical, mental, emotional, social and spiritual. In order for an individual to maintain personal health, address the origin of disease, serve a higher purpose in life, there are three life-sustaining activities that must be properly managed: 1) Food, 2) Sleep, and 3) Sexual Energy (Physical + Creative). Tantra Yoga lifestyle adjustments begin by observing your current and past relationship with these three vital activities in order to create an individual assessment of universal principles. 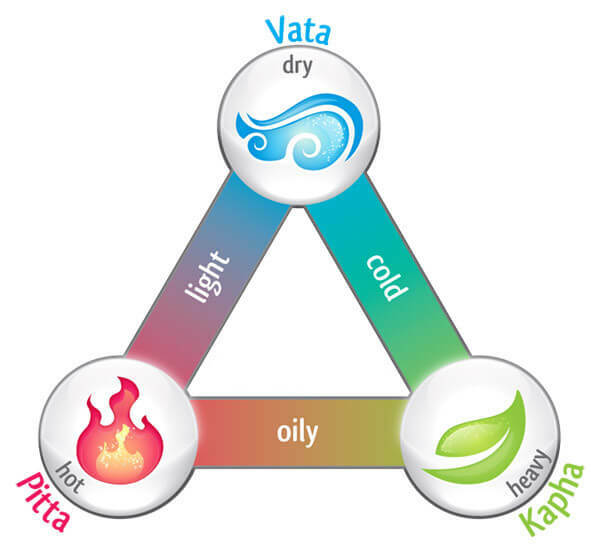 To better understand your personal constitution and navigate your natural tendencies for disease, you can observe how the earth elements come together in every living organism to create three unique combinations of traits and imbalances (Dosha). The goal of Tantra Yoga & Ayurveda is not to achieve a state of perfect balance, but rather to illuminate your true and whole nature. If you wish to feel more connected and inspired by the authentic, beautiful, multi-faceted, and majestic creature that you are, please contact Maria for Tantra Yoga counseling.